Romelu Lukaku got one back, but Pascal Gross's penalty capitalised on more poor United defending to send Brighton into the interval with a 3-1 lead. A shell-shocked Mourinho conceded United's players had only themselves to blame for their first defeat of the Premier League season. "We were punished by the mistakes we made. For me that's the story of the game. We made incredible mistakes in some crucial moments. Mistakes that killed us," Mourinho said. "Especially that third goal - we expected to come at 2-1 with positivity - then the third goal killed us off in the second half. Our second goal came too late. "The week leading up was good and I expected the team collectively to be better. There are basic mistakes that makes almost an impossible mission to win the match." 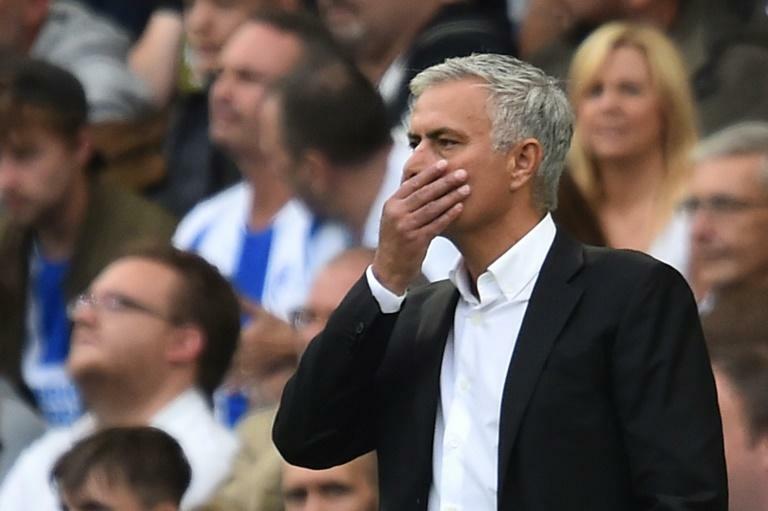 Many of Mourinho's stars, including World Cup winner Pogba, new signing Fred and French forward Anthony Martial, were anonymous for long periods, but the boss refused to criticise individuals. "I don't want to go in that direction. I have to learn from my reality," Mourinho said. "Last season when I was critical of my team and was debating openly of the performances I was criticised for being too open about my players. "I will be open when they are doing well. I cannot criticise the desire of my players."